Local Amazon Guides with Expertise in Bait Casting, Spin Casting, and Fly Angling. Complimentary Bottled Water, Beer, Juices, Dinner Wines, Coffee, Sodas, etc. Additional Amenity Charges during Hotel Stays (only double occupancy lodging for one night included). FRI Day 1: Fly from your home to Miami connecting to a direct flight to Manaus, Brazil. Upon your arrival into Manaus, you will be greeted by an English-speaking representative who will then transfer your group to your hotel to overnight prior to your early morning flight. SAT Day 2: After a complimentary breakfast, your group gathers in the lobby at a pre-determined hour for an early morning transport to the airport for a short charter flight to your yacht. 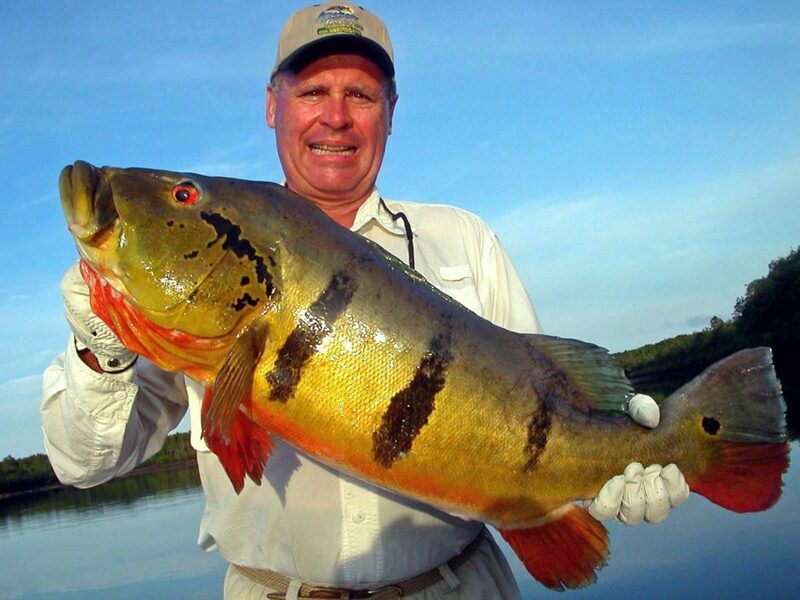 You can look forward to 6 full days of action-packed Peacock Bass Fishing. SUN – FRI Days 3-8: Full Fishing Days until mid-afternoon Friday. SAT Day 9: Early morning flight back to Manaus Airport for your “Free Day” to sightsee or rest at a hotel. (Expenses incurred on your free day are “exclusive ” of your trip package.) Check in for your departure flight from Manaus late evening, approx 8:00 PM, to arrive Miami on Sunday at approx. 5:30 AM connecting onward home. “We hope you enjoyed your travels with us”!